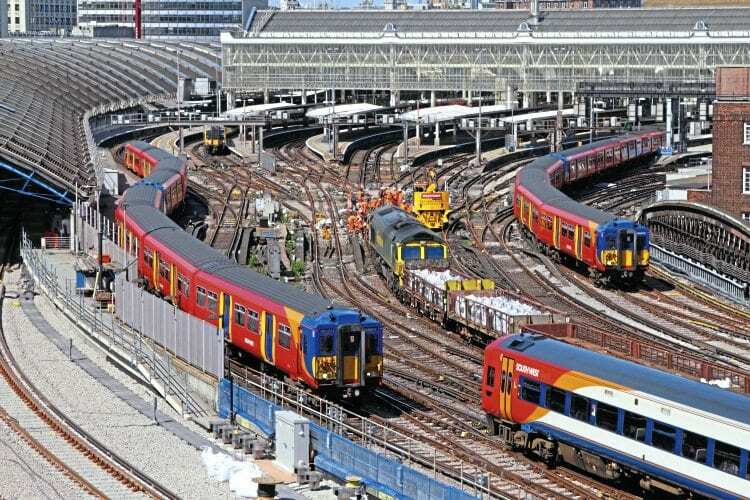 SERVICES at London Waterloo have been significantly reduced during August as Network Rail continues its £800million programme to increase peak-time capacity at Britain’s busiest station by 30%. Platforms 1-10 on the suburban side of the station will be closed until August 28, with platforms 1-4 extended to cater for longer trains. 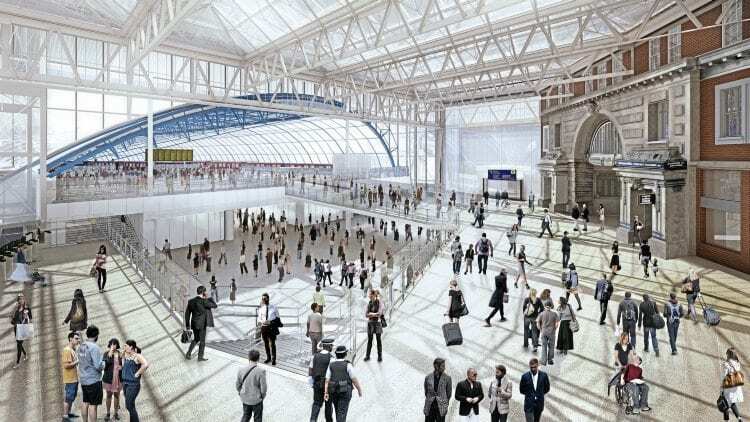 The work will allow an increase from eight to 10 cars on many inner-suburban trains, eventually adding capacity for an extra 45,000 passengers at the busiest times. During the blockade, the five former international platforms on the opposite side of the station will reopen temporarily to accommodate suburban services, but capacity will still be substantially less than normal. Afterwards, platforms 20-24 will close again for completion of rebuilding work, which includes a new concourse for domestic passengers. The five platforms are due to reopen permanently in December 2018.